Today is officially a free day, and the 5000+ participants, staff and observers of Lausanne III were encouraged to rest, reflect and enjoy South Africa. 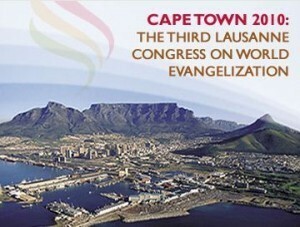 The Lausanne Movement is a global network of ‘reflective-practitioners’ who share a vision for the work of World Evangelization. The movement began in 1974 through the vision of Billy Graham who convened the International Congress on World Evangelization in Lausanne, Switzerland in July 1974. John Stott was the chief architect of the historic Lausanne Covenant which issued from that Congress. In addition to producing The Lausanne Covenant, the 1974 Lausanne Congress introduced a new paradigm of ‘Unreached People Groups’ through the creative work of Ralph Winter. At that Congress, God also use the prophetic voices of Samuel Escobar and René Padilla to help the church recover a more biblical understanding of the holistic nature of its mission. John Stott and Billy Graham shaped The Lausanne Movement in such a way that it has served as a thought leader and as a facilitator for partnerships in helping the Church respond to God’s call to ‘the whole church to take the whole gospel to the whole world’. In 1975 in Mexico City, Jack Dean, newly retired Bishop of Sydney and Chairman of the 1974 Congress, presided over the formation of what was then known as The Lausanne Committee for World Evangelization. Gottfried Osei-Menseh (Ghana) was appointed the role of first General Secretary. Leighton Ford (US) was elected Executive Chairman. Four things were considered essential for a global evangelical initiative: general dependence on God; firm theological moorings; clear strategy; and effective communication. To this end four working groups were established: the Intersession Working Group, the Theology Working Group, the Strategy Working Group and the Communications Working Group. Two further working groups have since been added: for Leadership Development and for Business, Government, Education, Medicine and Media. The Lausanne Movement is not a membership organization. Rather, it is a global movement made up of leaders who embrace The Lausanne Covenant and who share a commitment to collaborate in the work of world evangelization. From the time of the Second Lausanne Congress in Manila in 1989 until the time of the 2004 Lausanne Forum in Thailand, over 300 strategic partnerships were established in work related to unreached people groups, Bible translation, ministries of compassion and justice, student work, theological education, broadcasting and literature work, and church planting. Lausanne has built on the capabilities of its founders to convening connect some of the keenest minds from the global church, and to work with some of its most creative and influential leaders. These reflective – practitioners have wrestled with the greatest challenges and opportunities before the Church in Lausanne consultations. These consultations have produced seminal thinking which has been published in a series of Lausanne Occasional Papers, available for free download from the Lausanne website.